Emmanuel Macron’s communications director, who shaped his message the campaign, has resigned. It is yet another high-profile departure as the president’s rating are down after several scandals and nationwide protests. Citing personal reasons for the resignation, Sylvain Fort said on Thursday that he would leave the job at the end of January, telling France Info radio station that he had informed the president of the decision several weeks ago. “After two years and a half of relentless work serving the candidate and later our president, I wish to pursue other professional and personal projects, and above all dedicate more time to my family,” he told AFP in a statement. His resignation follows that of former Interior Minister Gerard Collomb, who left his post in October, following a dip in relations with the president. Europe 1 radio have also reported that Macron’s strategy chief, Ismael Emelien, is also seeking to resign. However, this has yet to be confirmed by the presidential palace. During his stint as spin doctor, Fort played an integral role in shaping Macon’s political messaging during a grueling presidential election campaign that saw the political novice pip right-wing candidate Marine Le Pen to the Elysee Palace. Following the election, Fort took a step back from the political limelight, instead settling into the role of Macron’s chief speech writer. 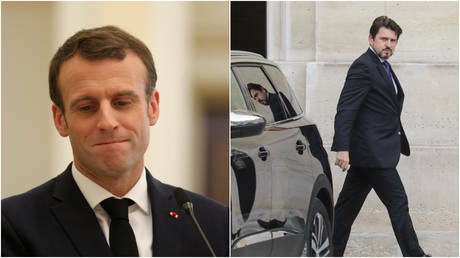 However, he returned to a front-line role in the summer following the Benalla Affair – a scandal and attempted cover-up involving Macron’s former bodyguard beating May Day protesters. Since then, other incidents that have soured public opinion of the president include him posing with middle-finger waving gangsters in Saint Martin, and reports of a lavish lifestyle have led to accusations that he is out of touch and that he had ambitions of being a ‘Jupiterian’ leader. However, the biggest challenge facing Macron, who entered 2019 with a record-low approval rating, is that of the Yellow Vest movement. Initially angered at proposed fuel price hikes, the movement has now widened its focus to include tackling Macron’s pro-business agenda, which they say favors the rich.